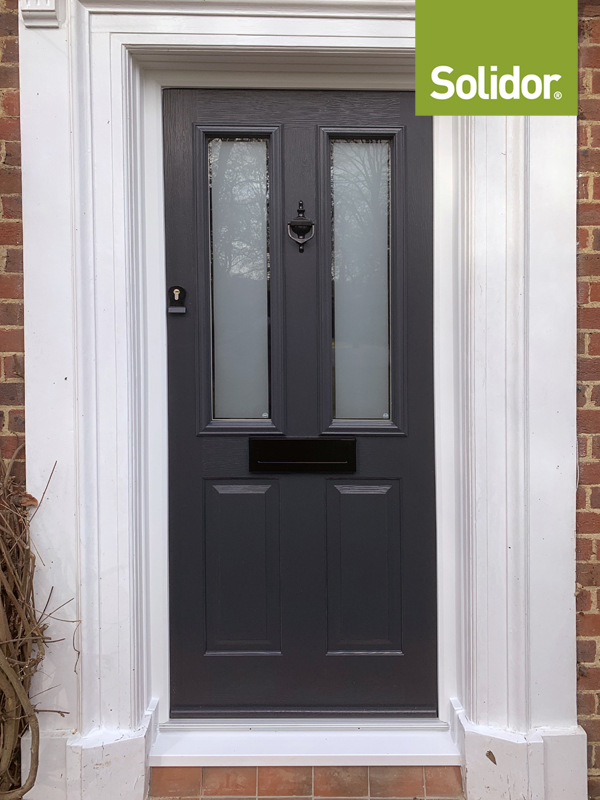 Solidor Ludlow 2 in anthracite grey with black finger pull, traditional letter plate and urn knocker, all in black. 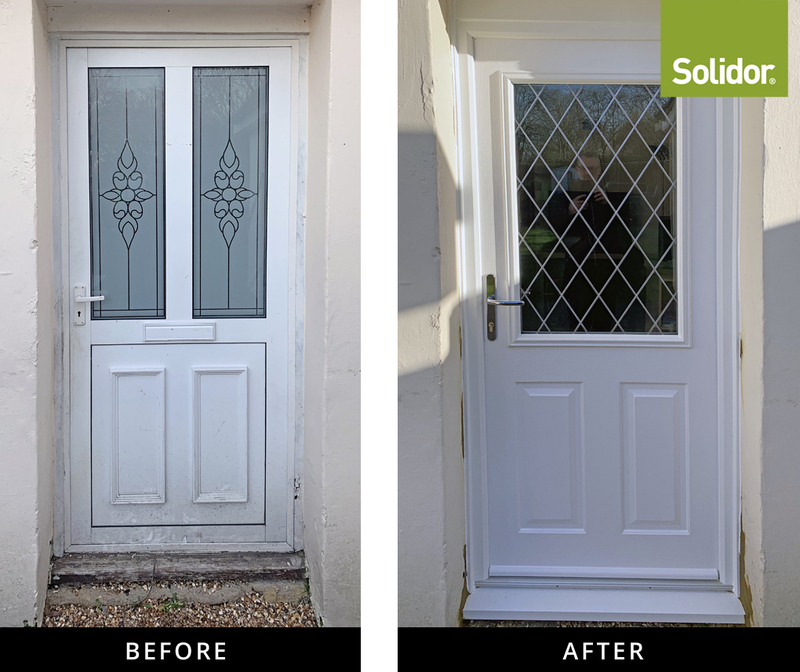 London etch border glass in door. 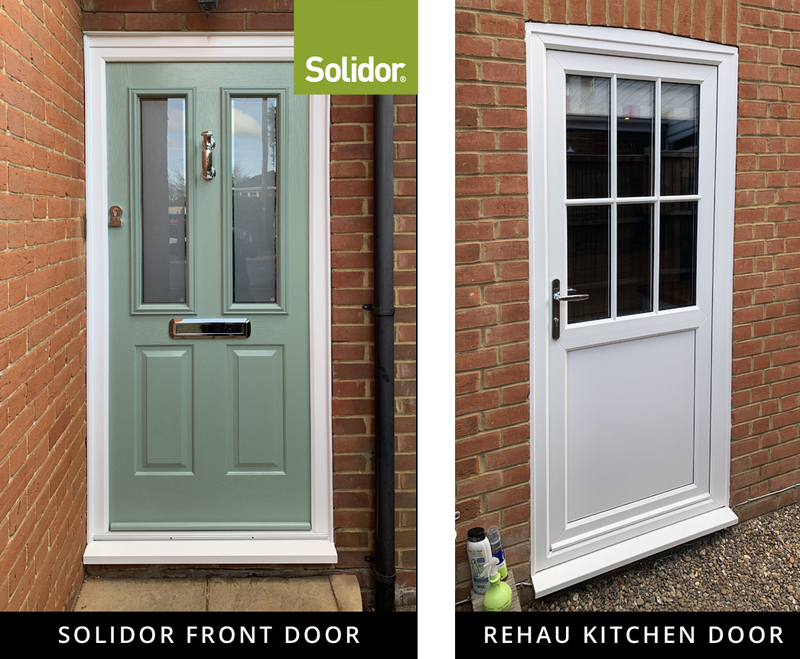 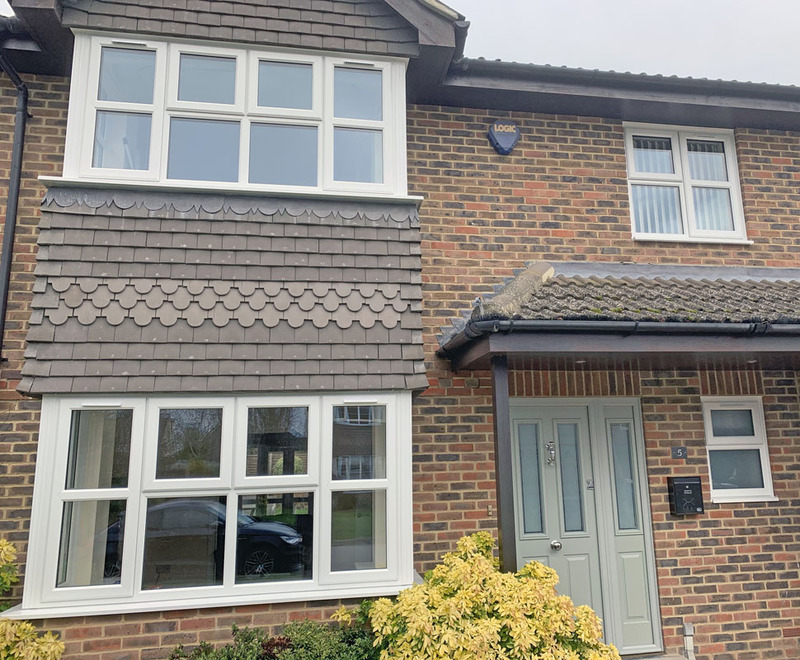 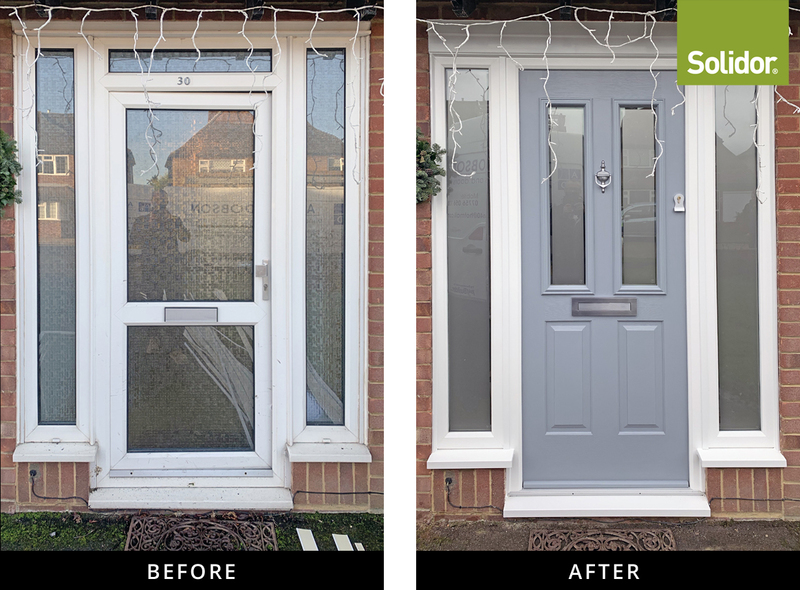 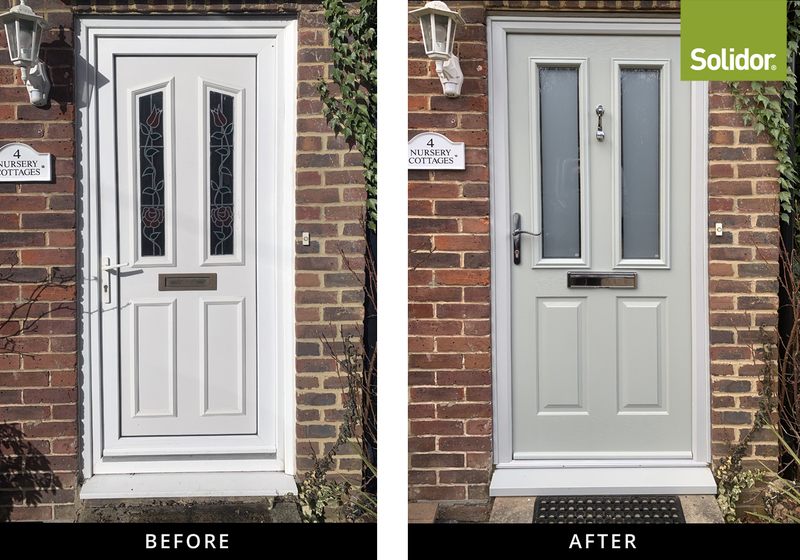 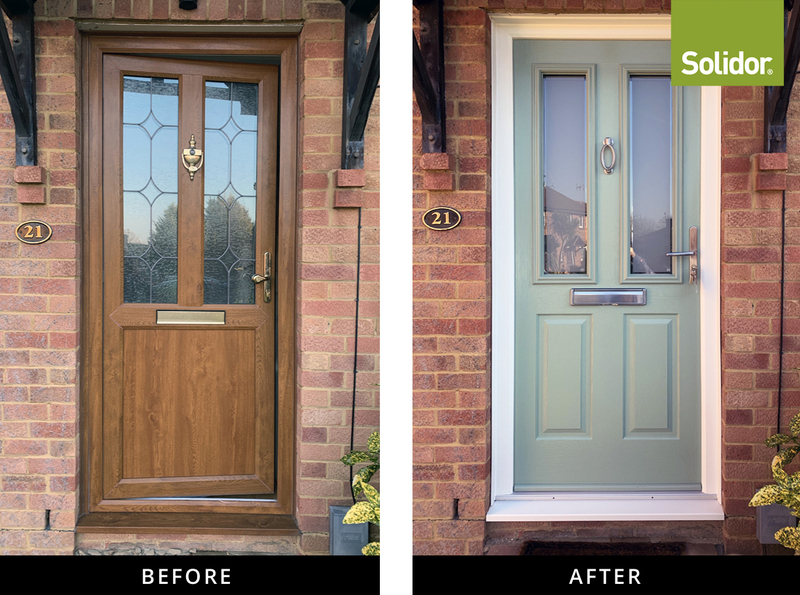 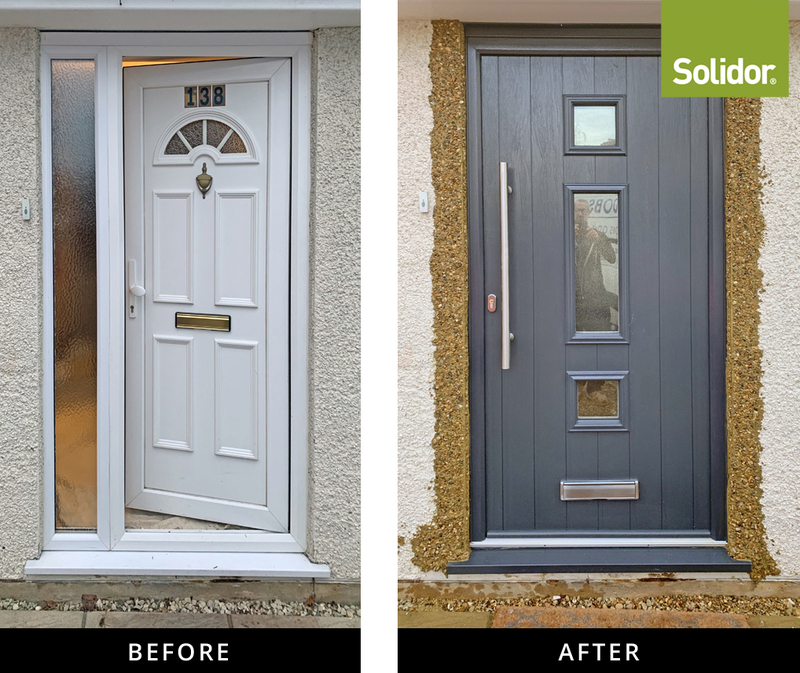 Here are before and after images of a Solidor Ludlow 2 door in Chartwell Green. 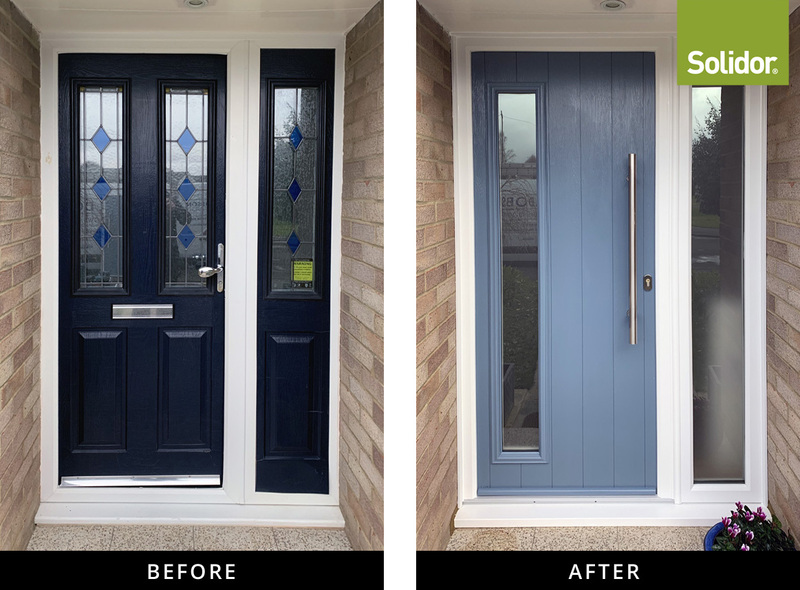 The two glazed panels help shape the visual appearance of the overall door and feature London etch border glass. 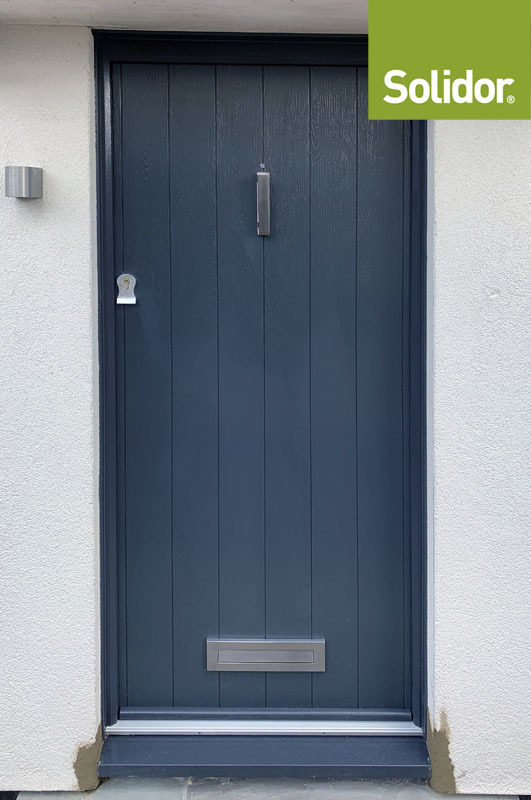 The door furniture is graphite grey.